Since 1993, female residents on Funen aged 50 to 69 years old have been offered mammography screening. A later political decision means that mammographyscreening is now offered to all women in this age group throughout Denmark. 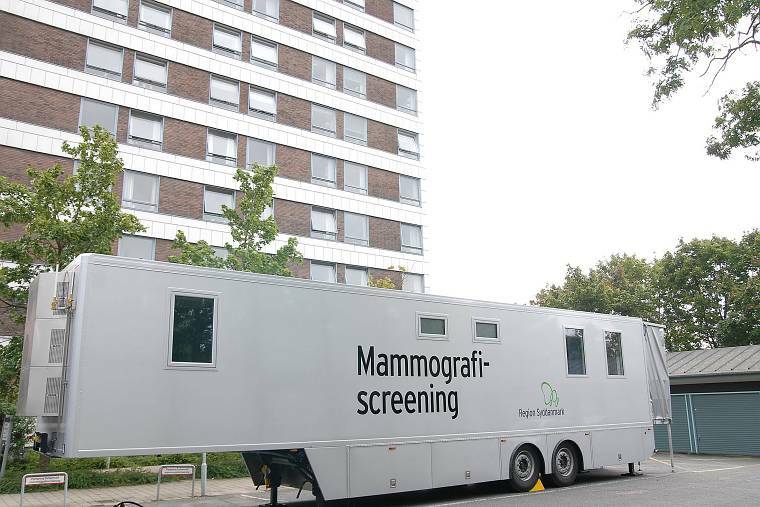 The screening is carried out at the Department of Mammography. Moreover, we have four screening vehicles which drive around Funen, Esbjerg, Aabenraa and Vejle, and some screenings are carried out at the breast centres in Esbjerg, Aabenraa and Vejle. Radiographers and other health staff specially trained for the task. The Department trains future radiologists in mamma radiology, medical students, radiographer students and other healthcare personnel. 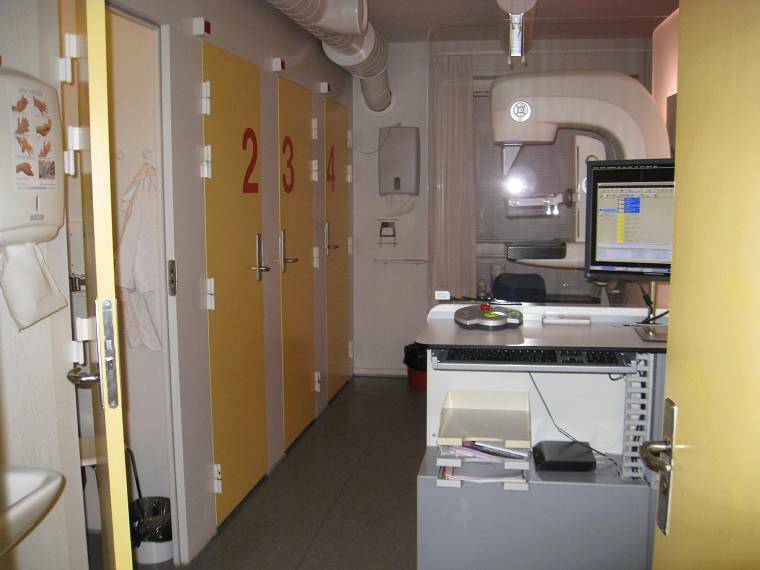 The Staff calls in women in the Region of Southern Denmark for a mammography screening, and makes sure that women who need further examination come back for another appointment. Mammography screening enables early discovery of breast cancer at a stage when it is not possible to feel a cancer tumour. The screenings are offered every year. If the images are unclear or they secound suspicion of something abnormal, the patient will be called in for further examination. A cytological or histological biopsy will be carried out in order to decide whether the tumour is benign or malignant (cancer). The Department also performs stereotactic biopsies; a special technique used in cases of cellular changes which cannot be seen with ultrasound, such as microcalcifications. This technique provides very accurate samples. The Department has recently acquired a tomosynthesis device to take cross-sectional images. This method is suitable for women with dense breast tissue.